The Respa Ortholite 3' Divan Bed is part of the Respa Essentials Collection. Featuring Respatech Spring Technology for long lasting support, a non-turn mattress, this divan bed has the highest level of comfort and quality you can expect from Respa. 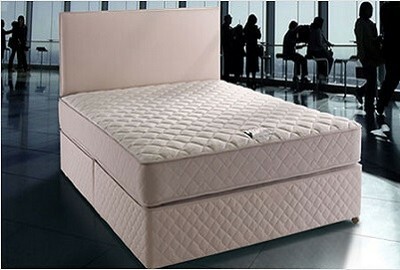 The Respa Ortholite 3' Divan Bed is part of the Respa Essentials Collection of beds and mattresses. Featuring a Non-Turn Mattress this divan bed incorporates Respatech Spring Technology for long lasting support and comfort. Producing premium handmade beds for over sixty years, all Respa divan beds come with a Choice of No-Drawer or Drawer Storage Options with Matching Headboard and Base. The Respa Ortholite Single Bed is complete with Free Delivery* and Free Collection and Recycling of Your Old Bed throughout Northern Ireland, and Counties Monaghan, Louth and Dublin, in the Republic of Ireland. What's more, we’ll also unpack and set-up your New Divan Bed in a room of your choosing and dispose of all the packaging.